Being a top provider of premium domain names, we strive for combining brandable domain names with reasonable prices and superior service to ensure most of your domain registration regardless of the number of domains needed by you. After a domain name is purchased, BonusDomains creates a registration account for you to have full access to your domain name. If you are going to transfer the domain to your own registrar, we will render sustainable support for you to simplify your transfer. Dot-com is what comprises our domains, without complication with numbers or dashes. BonusDomains contains only high-quality domains, due to which a domain name can be found and acquired simply and without any trouble! Are you creating a new business, music band, PR project? BonusDomains will empower you in it, since our premium domains are brandable, and any business can benefit from it. For high-quality domains the right choice is BonusDomains.com! 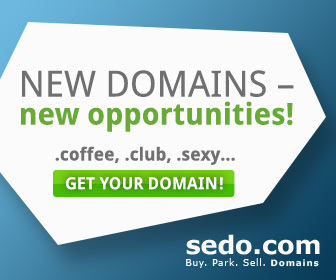 Your new enterprise, business, web project or individual activity definitely needs sophisticated domains. In BonusDomains, domains are easy to pronounce because they are short, and thus they become brandable, which makes them multi-purpose tools!